filmersblog: Who needs dvd's, anyway? For the first time in years(!) I have to deliver a video on dvd. Yes, I have burned the occasional dvd but almost all of my work is delivered as webfilm, in quicktime. This client wants 25 dvd's, too small a number to go to the shop so I burn it myself. Real old-fashioned handmade dvd's. I burn 25 of them and test a few on my standalone dvd-player (which has become obsolete since I got my WD Mediaplayer 2 years ago). I also play them on my Mac and Windows PC. All is well. I give the dvd's to my client, who gave it to hér boss to view it at home. He returns the dvd saying it doesn't play well: the lower thirds with his name & title are cut off horizontally. I ask for the dvd so I can check if it's bad. I insert it into my dvd-player and it plays fine, as expected. Then I decide to try to recreate the problem and all becomes clear when I set the dvd-player to display 4:3. It cuts off the picture exactly where he told us. We test the same dvd on two other dvd-players just for good measure and yes, it plays fine. We ask the boss to check his settings. He says he tried all the settings and it still won't display correctly. I ask if he could bring his dvd-player but he refuses. What can you do? I decide to buy a different brand of dvd's out of my own pocket and burn another batch. I'm still waiting to hear how it plays on the boss' dvd-player. All in all this extra testing and communicating has cost me half a day of work plus extra costs that I'm not getting reimbursed for. Maybe I should hang a big sign in my office stating 'Dvd's are bad for your health' or 'We wouldn't burn a dvd if our life depended on it.' 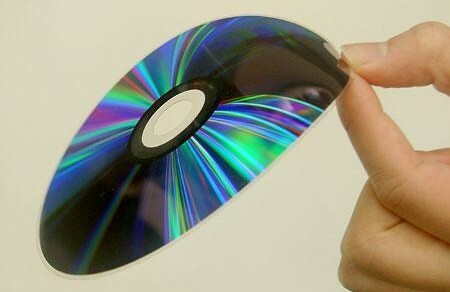 or 'this company has ceased dvd-production while waiting for the next technology'. Which reminds me, I still have a VHS-recorder on one of my shelves. Never had a problem with it, always played well. Never a problem with compatibility, aspect ratio, skipping. You can buy VHS-tapes by the pounds for next to nothing. Maybe I should go retro?